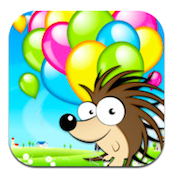 Lead Balloon iPhone Game Review: Save the Balloons! When I was a kid, one of my favorite things to do at a party was to fill a balloon with air and see how long I could keep it in the air without it touching the ground. Like pretty much every simple game from my childhood, there’s a compact digital version of this childhood memory. 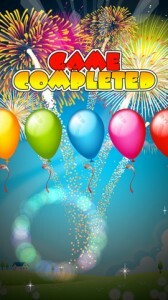 This game is calledLead Balloon, and it is an iPhone game developed by shonaenterprises. Here’s the deal: your goal is to prevent the balloons from falling from the top of the screen to the bottom of the screen, where the ground is covered in anti-balloon items like tacks, cacti, hedgehogs, thorns and sharp rocks. Surprise, surprise: these items will pop your balloons and end your game! The controls are simple: tap the balloon, and it will fly skyward. However, falling balloons will knock other balloons back towards the earth at a faster rate of speed. Watch out for the lead balloon, which falls like…well, a lead balloon, unlike the wafting normal balloons. 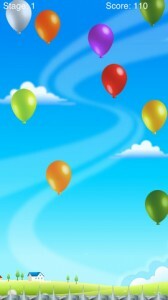 As the game goes on, more and more balloons fall, and your fingers will have to be fast to keep up. 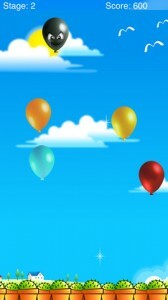 Tap the balloon before it hits the ground to receive bonus points. Lead Balloon a simple game, but still tons of fun to play around with. Lead Balloon is great to play in longer, marathon sessions, or perfect to play during quick blocks of time where you’re waiting around. Suitable for ages 4 and up, Lead Balloon is fun for kids and adults alike. With three different levels of difficulty to experiment with, this game is great for casual gamers, as well as hyped up, flash-fingered game junkies. I do hope for some extra game modes in the future, however. Lead Balloonis compatible with iPhone, iPod touch, and iPad. Requires iOS 4.3 or later. This app is optimized for iPhone 5.